Click here for SCLA's RAPID RESPONSE PLAN. Invasive species are a threat to native ecosystems, outdoor recreation, local businesses, and the value of our lake property. 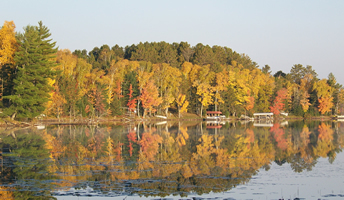 The Spider Chain of Lakes is currently threatened by four invasive species: Eurasian Water Milfoil (EWM), Hybrid Water Milfoil (HWM), Purple Loosestrife, and Curly-Leaf Pondweed. Details on these species are below. The Spider Chain of Lakes is not infected with Eurasion Water Milfoil (EWM), although most of the surrounding lakes are battling this dangerous weed. EWM is one of the most devastating aquatic plants and is transmitted by hitching a ride on boats and trailers from an infected lake. EWM forms large, dense floating mats that prevent boat traffic, block sunlight which kills native aquatic plants and prevents larger fish from growing. It often leads to poor water quality and algae blooms giving the lake a “dead” look. We need to be vigilant about keeping this plant out of our lake, because there is no known method to eradicate it. Cleaning boats, waders, boots and jet skis BEFORE putting them in Spider Lake is what we ask of you and your guests. Help us keep Spider Lake free of EWM: If you spot a suspicious plant, call the SCLA Communication Coordinator listed the SCLA Rapid Response Plan below. 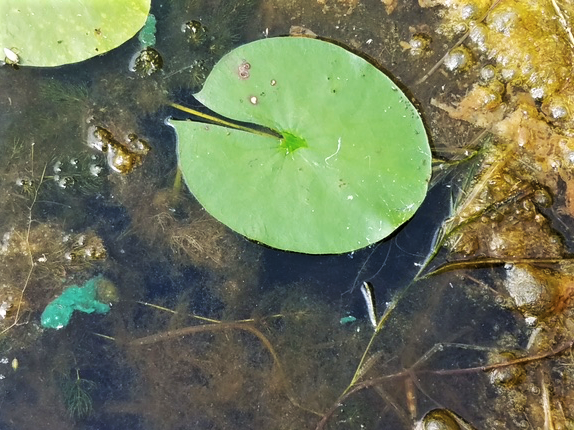 Curly-Leaf Pondweed has been identified in many areas of Big Spider Lake. It also is transmitted by boats and trailers that drag weeds from an infected lake. This species forms dense mats that can prevent boating, swimming, and fishing and displaces native plants needed for the food chain on our lake. In July, the plants die back and pile on the shoreline causing an increase in phosphorus and undesirable algal blooms. Blue-green algae grow in every lake in Wisconsin. 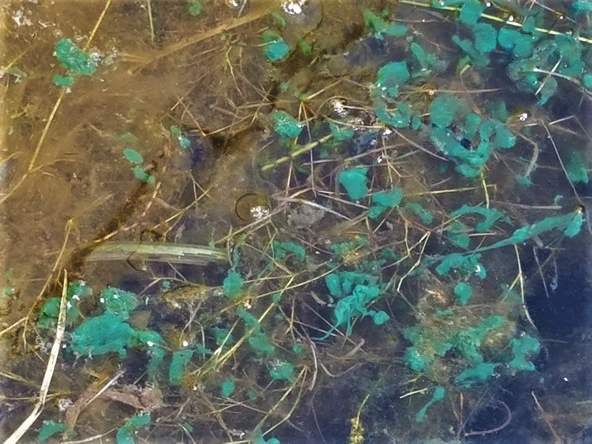 Clumps of blue-green algae that normally grow on the lake bottom have been floating to the surface of lakes in the Spider Chain. The good thing about these clumps is that they are easily noticed and therefore can be avoided, unlike other blue-green algae that grow as microscopic particles dispersed throughout lake water. These latter kinds of blue-green algae, which grow to nuisance levels known as blooms that discolor water and form floating scums, are not what are growing in the Spider Chain. However, the same precautions that keep people safe from blue-green algae blooms would also apply to these clumps of blue-green algae. Some blue-green algae can potentially make toxins that can make people and animals sick if they swallow lake water containing blue-green algae or if they inhale blue-green algae in water droplets, as might happen if they water ski through a heavy accumulation of blue-green algae. Some people may be susceptible to rashes and other irritation from skin contact with blue-green algae, such as if it is rubbed against the skin under clothing. The floating clumps of blue-green algae in the Spider Chain are easily seen because of the bright blue-green color, and thus it's easy for people to avoid swimming in areas with high densities of the clumps and avoid accidentally swallowing them. Dogs won't necessarily avoid the clumps of blue-green algae, so it is important for pet owners to prevent their dogs from ingesting the clumps via drinking the lake water, eating any material that may be washed up on shore, or licking it from their fur after swimming. You cannot tell if accumulations blue-green algae are producing toxins just by looking at them, so be wary of any high concentration of blue-green algae in water, whether it is dense accumulations of microscopic particles that discolor the water or areas with high concentrations of floating clumps of blue-green algae. Even if water is clear, it’s always a good idea to avoid swallowing any untreated surface water because it can contain blue-green algae, bacteria, viruses, or parasites that can make people and animals sick. Blue-green algae are easily moved around by wind and currents. The location and density of these blue-green algae clumps in the Spider Chain will likely change daily until they eventually dissipate, so it is important for you to assess conditions for yourself before swimming or participating in other water recreation. Choose locations without noticeably green water for swimming, because wind can concentrate blue-green algal blooms into near-shore areas. Do not swim in water that looks like "pea soup", green or blue paint, or that has a scum layer or puffy blobs floating on the surface. Do not boat, water ski, etc. over water that looks like "pea soup", green or blue paint, or that has a scum layer or puffy blobs floating on the surface (people can be exposed through inhalation). Always take a shower after coming into contact with any surface water (whether or not a blue-green algae bloom appears to be present; surface waters may contain other species of potentially harmful bacteria and viruses). Always avoid swallowing untreated surface water – it may contain pathogens other than blue-green algae which could make you ill. It's important to choose the clearest water possible for dogs to swim in, and to keep dogs out of areas with algae accumulations or dense particulate matter that might be blue-green algae. Always wash dogs off with clean water immediately after they swim, so they cannot lick off any algae clinging to their fur. Do not allow dogs to eat any algal scum that may have dried on the shoreline or floating mats of algae. If there’s any doubt about what is in the water, keeping dogs out is the safest course of action. Yellow Flag Iris has been recently identified on four lakes in the Spider Lake Chain. It is a fast-growing and fast-spreading invasive which can outcompete other wetland plants, forming almost impenetrable thickets in much the same way that cat-tails do. Small clumps can be dug out, though this is only effective if the rhizomes are entirely removed. Mowed plants will regenerate from the rhizomes, so plants must be cut multiple times to exhaust their energy reserves. The sap may cause skin irritation, so gloves should be worn when handling cut or otherwise damaged stems. 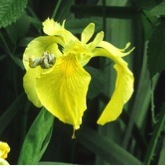 No biological control agents have been released to control the yellow flag iris. Wear gloves; skin irritation can occur with contact with plant roots. Clip flower heads and pull or dig out plants and roots. Place all plant material in garbage bags and take to Town Hall Solid Waste, at no charge. If you cannot access the roots of the plant, remove the flowers and seed pods (wearing gloves), bag the material, and take it to Town Hall Solid Waste, at no charge. Tell us your property location, and site of Yellow Flag Iris on your property. We will ask volunteers to check your property and remove plants from your shoreline. Numerous strands of this very harmful aquatic plant exist on the shoreline of Clear Lake and Big Spider Lake. When purple loosestrife invades, it impacts the lake by forming thick stands that prevent recreation, displacing fish from the shelter where they reproduce and rear their young, and crowd out native aquatic plants and insects which upsets the entire ecosystem. PREVENTION AND ERADICATION OF INVASIVE SPECIES BY SCLA - CHECK YOUR OWN PROPERTY REGULARLY! To prevent further spread of invasive species into the Spider Chain of Lakes, we pay for launch monitors at public boat landings to inspect boats and trailers entering the lake. Launch monitors are our first line of defense in preventing the introduction of new invasive species into Spider Lake. In addition to inspections, launch monitors provide AIS information, collect and report data, and report suspect specimens. We also conduct shoreline inspections three times per summer. During the summer and fall, SCLA volunteers investigate the entire shoreline by boat, canoe, or kayak. Our volunteers are trained to identify invasive species, and we work with the DNR to record current stands to measure the effectiveness of our projects. If you would like to be a volunteer lake monitor, please contact us at spiderchainoflakes@gmail.com. For details on the Lake Monitoring Protocol click here. SCLA is working to control Purple Loosestrife infestation. In early spring, the plants are dug up by volunteers who remove plants from the lake and also create small nuseries for the Gallerucella beetle. SCLA volunteers raise over 40,000 beetles that are then transferred to the stands on Clear Lake. The Gallerucella beetle is a native predator of the loostrife plants and eats the new seedlings before they can take root for a new growing season. After eight seasons of release a reduction in the size of the stands was observed. ALL OF OUR PROJECTS ARE ACCOMPLISHED BY THE EFFORTS OF VOLUNTEERS. PLEASE CONTACT US spiderchainoflakes@gmail.com IF YOU WOULD LIKE TO PARTICIPATE or if you would like to be a Lake Monitor (training is provided for all lake monitors; all you need is a boat and a life jacket).